Okmulgee Regional Airport (OKM) serves as a general aviation airport located three miles north of downtown Okmulgee. Its convenient location, adjacent to Highway 75, provides users with easy access to the city’s historic business district, Muscogee Creek Nation, Oklahoma State University Institute of Technology, Green Country Technology Center and 150+ area businesses. The 5100′ x 100′ concrete runway can accommodate dual tandem aircraft up to 300,000 pounds. The Airport is home to Covington Aircraft, one of the few OEM authorized MRO facilities in the United States specializing in radial engines and accessories. 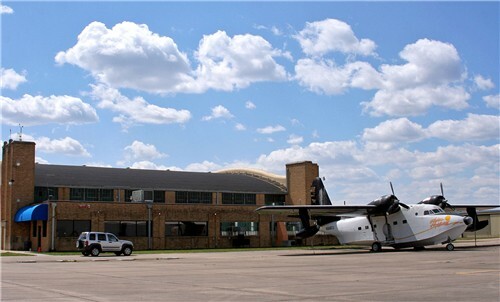 The original terminal building is listed on the National Register of Historic Places and still serves as hangar space for aircraft today. There are 22 hangars on airport property with ample room for additional hangar development.